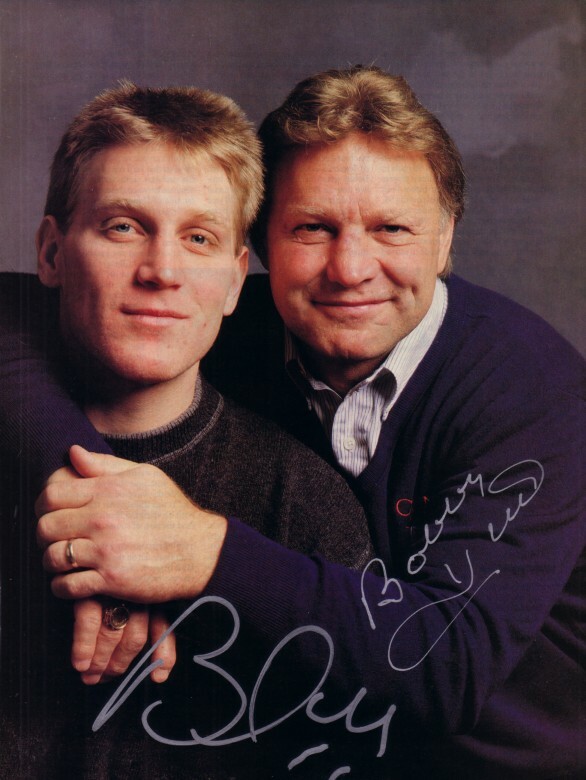 Full page magazine photo autographed in silver by legendary Chicago Blackhawks superstar Bobby Hull and son Brett Hull, both in the Hockey Hall of Fame. Suitable for framing. With certificate of authenticity from AutographsForSale.com. ONLY ONE AVAILABLE FOR SALE.